Toyota certified used cars must meet special criteria and also pass rigorous inspection after a thorough reconditioning. With special warranties, a standard CarFax report, and other benefits certified used cars offer value plus true peace of mind. 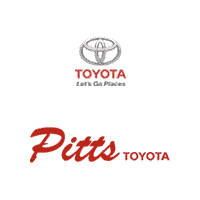 You will find a selection of well-maintained used Toyotas at Pitts Toyota dealership serving Dublin, GA.
At Pitts Toyota, certified pre-owned cars are limited to those within the last six model years. The mileage is limited to 85,000 miles, although that is typically higher than the cars on our lot. Did you know that you can find a used car from your easy chair? If you see one you like, ask for a quick quote. Every certified pre-owned car, truck or SUV comes with a vehicle history report. This includes information on the vehicle’s maintenance and accident history if any. Pitts service technicians put the vehicle through a rigorous 160-point inspection. Any points of concern are recognized by this Quality Assurance Inspection. If problems are identified, Toyota’s highly trained technicians go to work. With the process completed, Pitts Toyota then offers the vehicle for sale to you. If you choose a certified pre-owned Toyota, loans and leases may be offered at new car rates, reducing costs for qualified buyers. Also, you drive away with meaningful warranties. This includes a one-year roadside assistance plan, a 12-month limited warranty plan, and a powertrain warranty. For a good deal on used cars, start at Pitts Toyota dealer serving Dublin, GA. You’ll find a big inventory of fine choices.